I was always one of those nerdy kids who became excited for the school year to start because it meant new school supplies. Colorful notebooks and new binders were staples in my back-to-school buys, but I always spent extra time finding the perfect planner. It was yet another place for me to keep my many to-do lists, and I think this is one of the reasons why I've become so adamant about being organized. For me, the perfect always had to have three things: lots of color, a ton of room for writing assignments for each day, and space to make tons of lists. This will be the first year in which I won't be going back to school in the fall, but regardless if you're looking for a planner for school or for a job, these online buys are personalized and trendy... and meet my three standards! 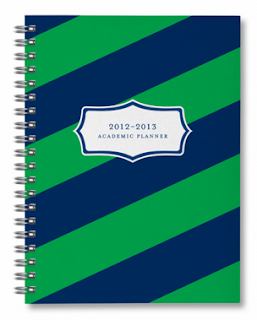 The Rugby Academic Planner, $20. 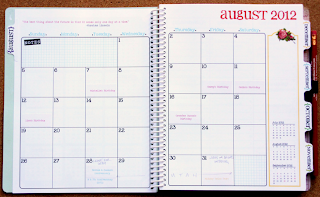 After trying to find her ideal planner, Pinto gave up and decided to design her own. Her website features academic planners, notebooks and notecards. 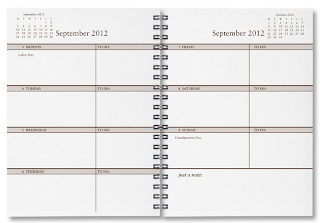 This planner is spiral bound with a chocolate brown interior pages. Martha Medium Day Planner, $38. I love these planners because they can be personalized. With 12 monthly tabs, week, month, and year-at-a-glance pages, there's much room for organization with one of these planners. 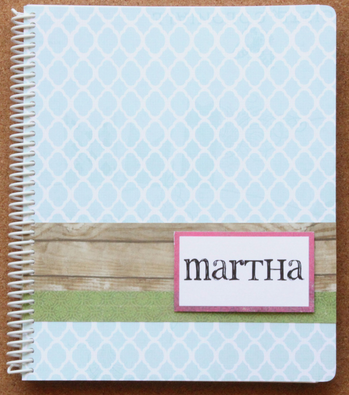 Life Planner in Signature Stripe, $50. Erin Condren's "Life Planners" are as detailed as a planner can get. First designed in 2007, Condren has been evolving the style of her planners since, and this one will not disappoint, with over 240 pages and stickers to highlight important dates. Jumbo Agenda in Shorely Blue Big Garden by the Sea, $33. 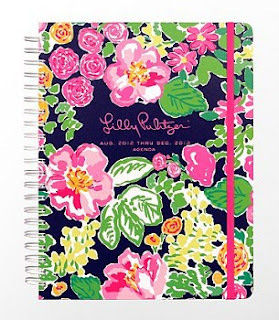 I've always thought Lilly Pulitzer's agendas were pricey, but after looking at the personalized ones you can find online, hers look more affordable. I like these because of the sturdy cover and vast space for writing inside. It's notebook sized, but if you're more of a small planner type of gal, Lilly also offers two other sizes. 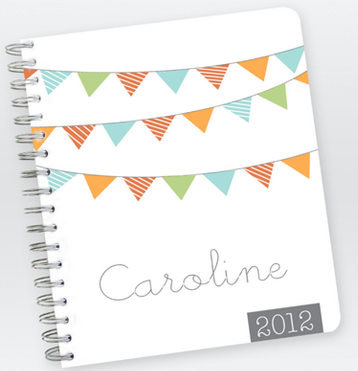 Personalized Planner, Caroline, $30. 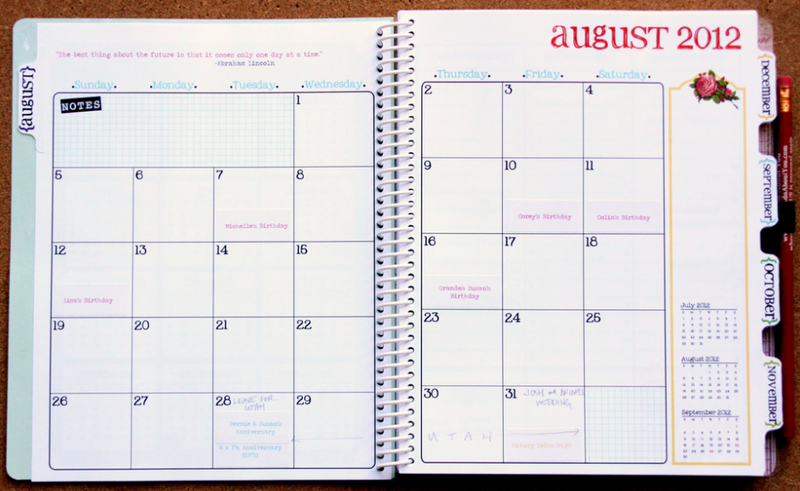 Not only does this company make custom designed agendas, but also it prints calendars and stationary to your personalized liking. My favorite was the "Caroline" design, but there are plenty of other trendy designs by Plum to check out. Your newest follower--thanks for following me! I am a lover of all things organized & school supplies. Even at 23 with a full time job I find myself in the aisle of Target looking and buying school supplies. I really want to get one of these planners, thanks for the inspiration! I just purchased a new Lilly Pulitzer planner and I LOVE it! It's perfect for college and super cute and durable. Mine was $26 which might be a little pricey to some, but definitely worth it in my book. Just followed, love your blog! 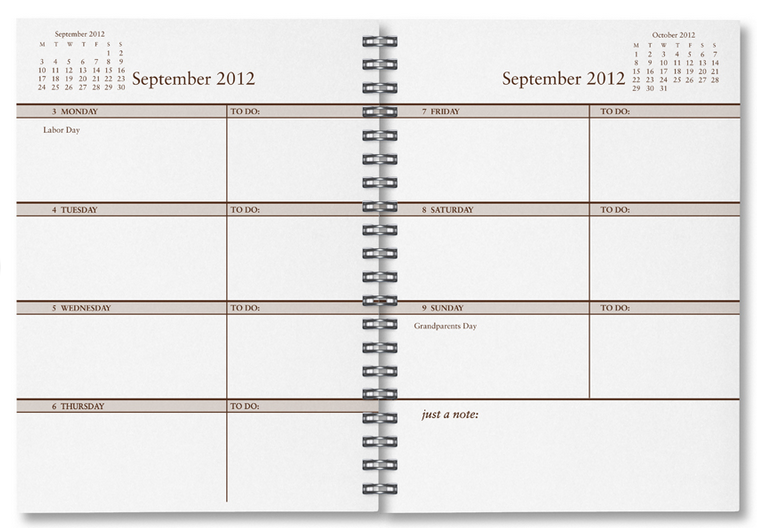 Love that Erin Condrean planner - I'm really wanting to get myself one of those! Thanks for stopping by my blog, I'm now your newest follower! OMG!! This is a perfect post for me because I was just looking for a planner!! I am going to re-read all the options and check them out!! OoOOoOOooOOOoooO They are really cute! I love planners! I buy one every year and my life is in them! Menswear Wednesday: "The Romney Boys look"
Are self-tanners no longer safe?